I'm so late to this party. So late, there aren't even any inebriated stragglers left picking at the crisps and the host has passed out midway through tidying up. So late, I shouldn't even bother knocking on the door, I really ought to slink away as though I never meant to show up. But here I am, so let's get this review on the road! 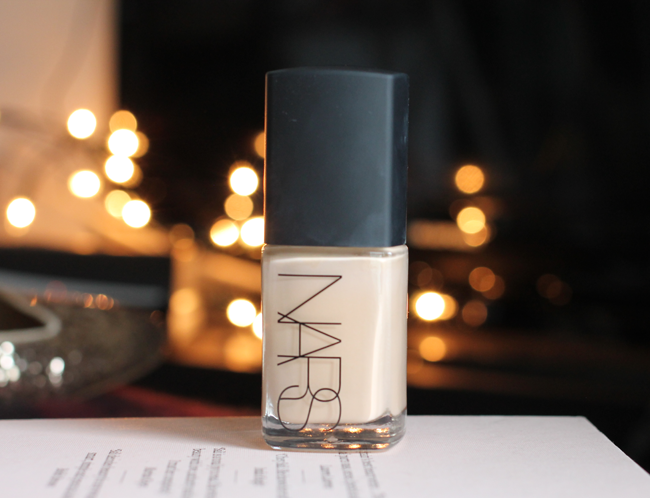 For a very long time, NARS was one of those brands I coveted but never actually purchased. I would cover my hands in swatches every time I passed a Sephora, but never made it to the till (primarily because Luxembourg cosmetics are ridiculously expensive). Then, one day, they released a lip pencil with my name on it (literally, my last name!) so I bought it. And loved it. Since then, I've had a steady trickle of products making their way into my collection, courtesy of my sister and her enviable Sephora card (I now count the lip pencil in Luxembourg among my beauty hoard, as well as an eyeshadow palette and a single shadow). 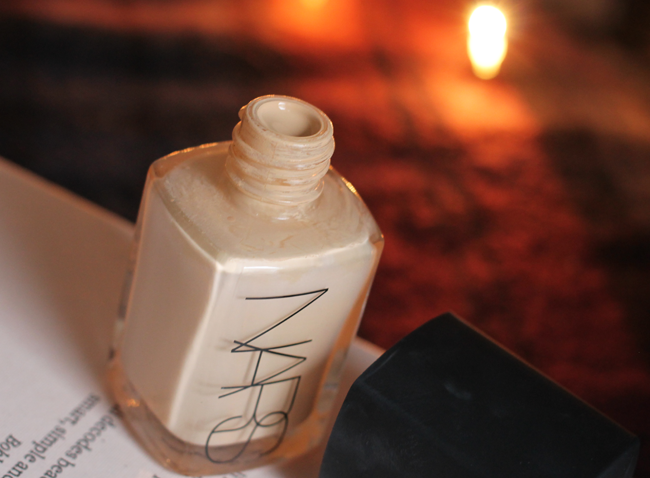 Quite literally any beauty lover worth their salt has heard of the Sheer Glow foundation. 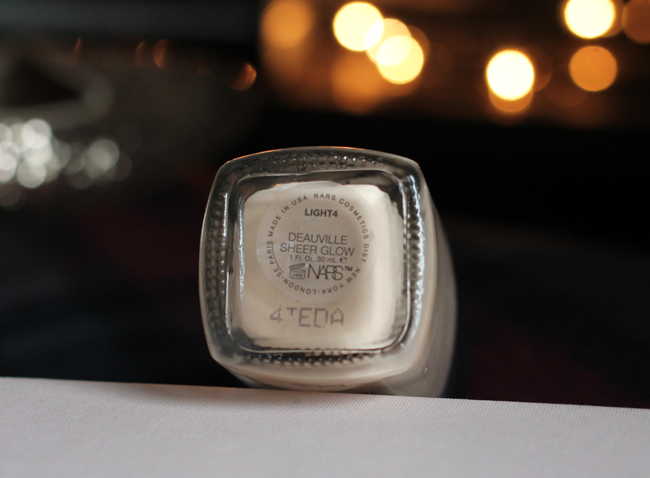 It's a name I recall from my early days of beauty blog reading, and my favourite vlogger Tanya Burr mentions it in nearly every make up look I've watched. It has been the base of choice for my bestie Geo for some months now, but I was only converted at the end of November after an impromptu foundation swap. Geo promptly went out and purchased Bobbi Brown Long Wear after using mine, and I... well, I was conflicted. On the one hand, there was my self-imposed foundation ban. On the other, I couldn't get Sheer Glow out of my head. My resolve lasted all of 24 hours. ASOS had a 20% off discount code running, they stocked a shade I thought might suit me... so I pressed the checkout button. Then promptly suffered two weeks of guilt and confliction while I waited for it to arrive (curse Christmas couriers). I didn't even wait for daylight to test it, instead opting to wear it for that night's Christmas party. 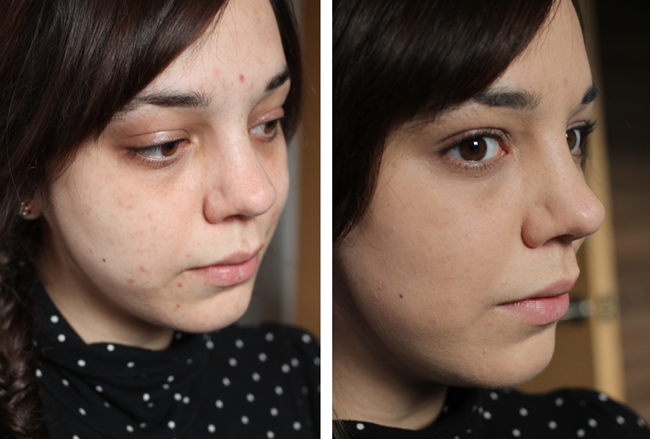 Straight away, the coverage impressed me - it covered blemishes and uneven skintone immediately, with only a dab of concealer needed under my eyes and on some particularly dark marks. As to longevity, it lasted incredibly well throughout that night, and lasts an entire working day (which, to be honest, is my only requirement in a foundation. Ain't nobody got time for touch ups!). Despite the name, it isn't as glowy as YSL Touche Eclat (my usual go-to when suffering dullness), but the coverage is much better. 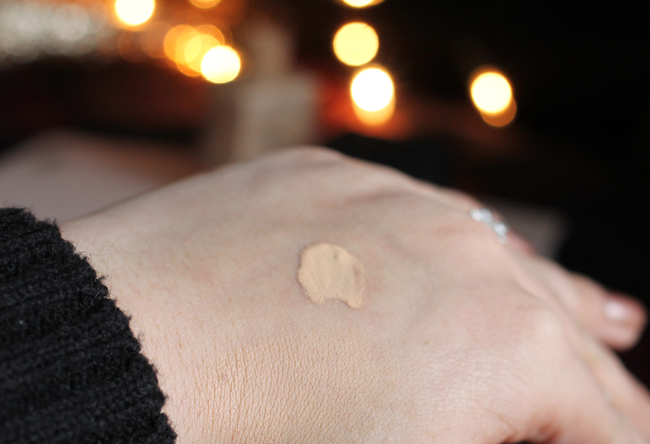 The coverage even exceeds Bobbi Brown Long Wear in my opinion, but I only noticed this when switching up bases after two weeks of Nars on the trot. It genuinely doesn't feel like you are wearing a lot of make up, and in all honesty I find I don't need to use a lot to achieve good results - and I have dreadful skin! So if you have pretty decent skin to begin with you'll only need a dab of this! I have had some really stubborn blemishes recently and found I needed to keep going back with multiple layers of foundation when using a couple of others, but I only need one layer of Sheer Glow and a dab of concealer to finish. The shade I chose is Deauville, and it's perfect for my winter skintone - for reference, I am NW15-NW20 in MAC shades, and BD40/B20 in YSL. I didn't swatch it before purchasing online, which is most unlike me, but for once the gamble paid off! They have so many shades though, I would recommend testing before you buy if you have a Nars counter near you. I can already foresee me purchasing another shade when the summer begins, and I would be lying if I said this wasn't with my wedding in mind... I love the foundation THAT much. I've been using it virtually non-stop since the 12th December so I feel I've had plenty of time to form an opinion! I genuinely love this foundation and can see myself repurchasing again and again, my only regret is that I didn't buy it sooner! Finally, because I always feel a foundation review is incomplete without proof, as it were... I leave you with a terrifying close-up of my face, sans base... and then with Sheer Glow applied (no concealer, no powder). I feel like the proof is in the pudding, don't you? 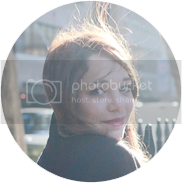 Visit Dani's profile on Pinterest. Christmas Wreath Workshop with Lily & May!